Paul Lachelier is a sociologist and nonprofit entrepreneur passionate about making the world a better place through civic innovation. Born and raised in France until age 11, he moved with his family to the United States in 1983. His experience as a French-American dual national made him more curious about the world around him, and especially about societies and their cultures. This curiosity spurred Paul to study sociology, and to learn and write about American culture and politics first as an undergraduate at Georgetown University, then as a graduate student at the University of Wisconsin-Madison, where he earned his Master’s and Ph.D. Paul taught sociology, political science and social theory for over a decade at a variety of higher education institutions, including the University of Wisconsin, Tufts, Harvard, and Stetson. 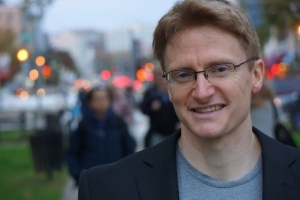 In 2012, Paul left academia to found Learning Life with the mission to inform and empower more people by spreading learning in everyday life beyond school walls. His published writings have appeared in academic journals, online media as well as newspapers including the Boston Globe, Chicago Tribune, Milwaukee Journal Sentinel, and the Orlando Sentinel. You can learn more about Paul and read some of his writings on democracy, education and culture on our News & Blog page, at his personal website and his academia.edu page. Derrick Costa was born and raised in California until the age of 11, then lived in Missouri, Virginia, Colorado and Virginia again. One common thread that runs through Derrick’s life across the United States is his commitment to volunteerism and helping those in need. Derrick has served as a videographer and events promoter for a teen mentoring program and taught math and English to inner-city youth in Denver, Colorado; cleaned up homes and yards as part of a community clean-ups in Denver and Niagara Falls, New York; served the homeless at a shelters in St. Louis and Washington D.C.; filmed a class webinar, and helped market Volunteer Loudoun, a county civic group in Virginia. In 2012, Derrick graduated from Liberty University with a B.A. in English. Since November 2013, Derrick has helped Learning Life grow in a variety of ways, publicizing our quizzes and Facebook page, conducting research, writing and outreach, producing our second promotional video, and documenting our live, international, family-to-family dialogues in videos and photos. 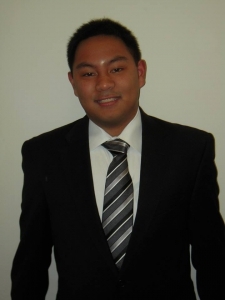 When not assisting Learning Life, Derrick works as a fraud investigator and volunteer marketer for other nonprofits. Originally from Orange County, California, Joe has spent time living in many different parts of the world, including Nürnberg, Germany; Prague, Czech Republic; Monterey, CA; and Kansas City, MO. He now lives in Arlington, VA and holds a position as Assistant Professor of German at Georgetown University. There he teaches all levels of undergraduate German courses, as well as graduate-level seminars in topics related to applied linguistics and second language acquisition. 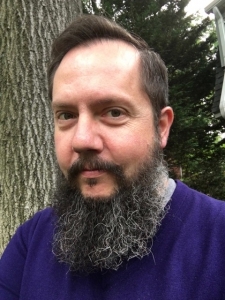 In both his teaching and research, Joe has a strong interest in the role of technology, and he has for many years utilized Internet-based communication to connect his learners with international partners. Joe is part of Learning Life’s research team focused on developing and carrying out a rigorous evaluation of our Citizen Diplomacy Initiative. Danjha Leon is an undergraduate student in George Washington’s Elliott School of International Affairs pursuing a double major on international affairs and political science with a concentration in international development. With Learning Life, Danjha has, among other activities, translated and edited many of our Citizen Diplomacy Initiative (CDI) documents in Spanish, served as an interpreter from English to Spanish and vice versa during our live international dialogues between Salvadoran and American families, and helped with outreach in Latin America and the Middle East. She is the President of Learning Life’s CDI chapter at GW, engaging lower-income D.C. families in local learning activities that involve them in international affairs (e.g., museum and nonprofit tours, embassy visits, documentary viewings and discussions, etc.). 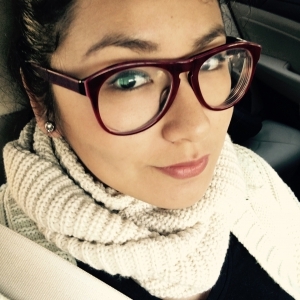 Danjha was born and raised in Lima, Peru, and speaks English, Spanish and French. 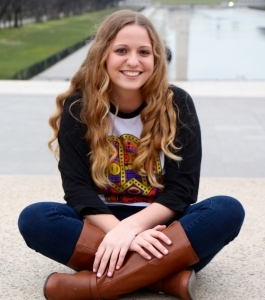 Carolyn is an undergraduate student at George Washington University’s Elliott School of International Affairs majoring in international affairs with a concentration in international development, and minoring in economics. She also speaks and studies Spanish. Carolyn interned with Learning Life’s Citizen Diplomacy Initiative in Spring of 2016, helping with research and outreach locally and abroad to secure funding and participating families and partners for our live international dialogues.